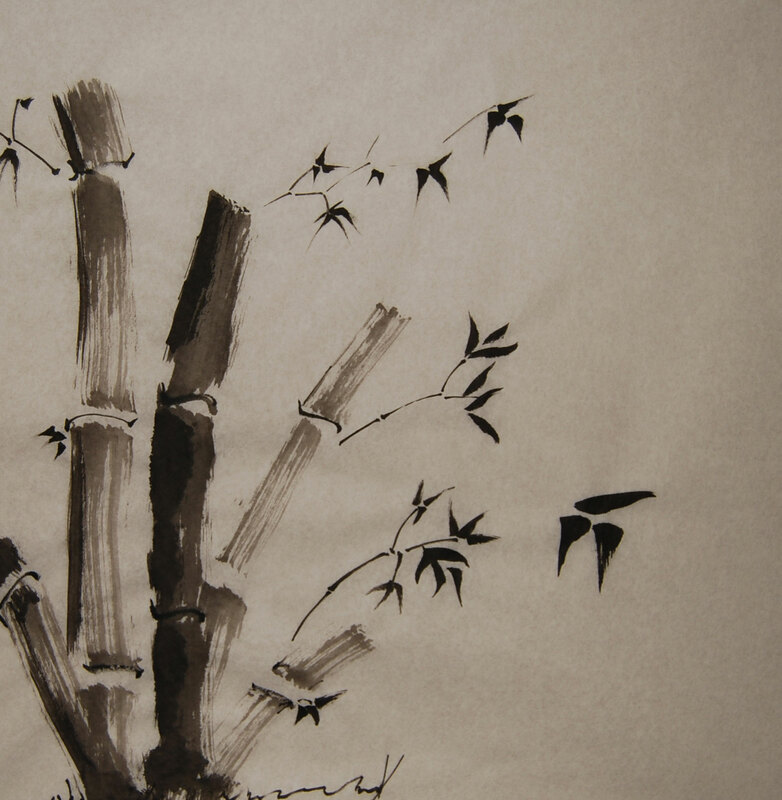 A week of playing with Dogen, the breath, and the brush. If we look at mountains, rivers, and earth when a person is born, this person’s birth does not seem to be bringing forth additional mountains, rivers, and earth on top of the existing ones. Yet, the ancient buddha’s words should not be a mistake. How should we understand this? Dogen tends to remind me not to take things literally. Or maybe it’s a reminder to not stop at the literal. He goes on to say that we have no way of knowing our own beginning or ending – or anyone else’s. Similarly, we don’t know the beginnings or endings of “mountains, rivers, and the earth.” And here’s the hook: this not-knowing doesn’t keep us from “see(ing) the place and walk(ing) there.” And so it is with practice, with living and with dying. In August, Joseph and Chong Go Sunim of the amazing Wake Up and Laugh! blog delivered a one-two punch on the topic of “difficult people” and “difficult emotions.” Being the quintessential difficult person, I side-tracked the discussion to the picture Joseph had included of Huik’o cutting off his arm in an effort to be accepted by Bodhidharma. The comments devolved from there to Joseph’s suggestion that, with the closing of the 108buddhas, I might consider a new project of 108Bodhidharmas. The answer is an enthusiastic: “Nope.” However, we did chat about sharing some experiences of the First Patriarch. 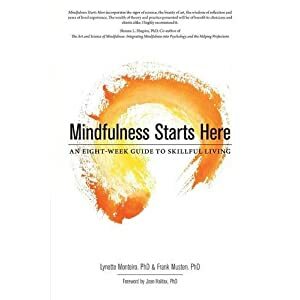 108buddhas come to a close this week as we head to the first anniversary of 108 Zen Books. A deep bow of gratitude to all of you who have encouraged my practice and tracked the paintings! It has been a fascinating journey, all the more for the approach-avoidance pattern I have with the brush. The idea of productivity is still deeply ingrained in my mind. One paints for a reason and that reason is to produce something of (monetary) value. Throughout this journey, I’ve struggled to embrace these 108buddhas as sufficient in and of themselves. 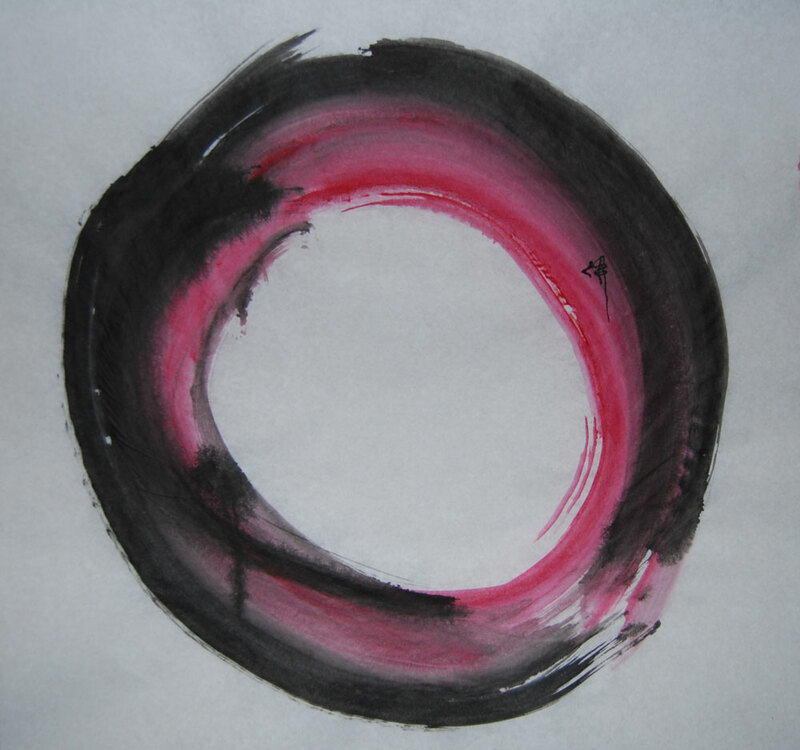 Breath, brush, and body are not the the path to a practice of shodo. They are practice. The reason for not speaking while writing a large character is that the character will “die” unless it is written in one breath. One should magnify one’s spirit and write without letting this magnified spirit escape. 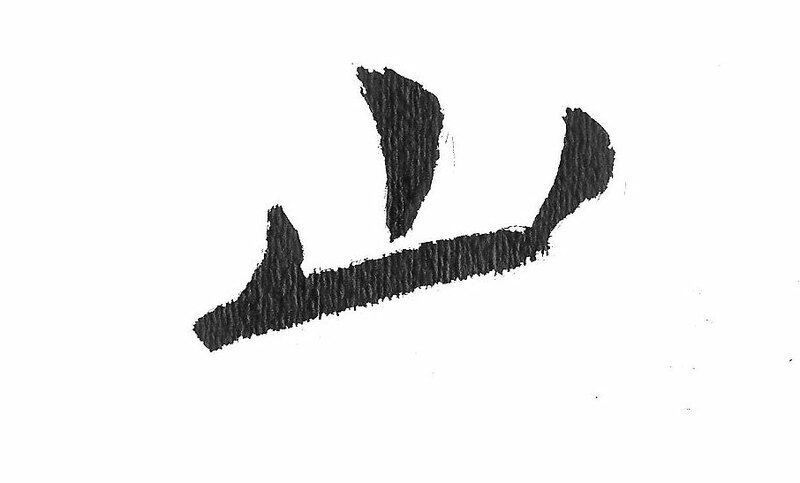 The character will die unless it is written using the hara (literally, gut, here suggesting the center of one’s spirit). There are so many examples of Nantenbo’s art that embody this passionate dedication to magnifying one’s spirit. Daruma painted on a tea bowl (1913) is my favourite. 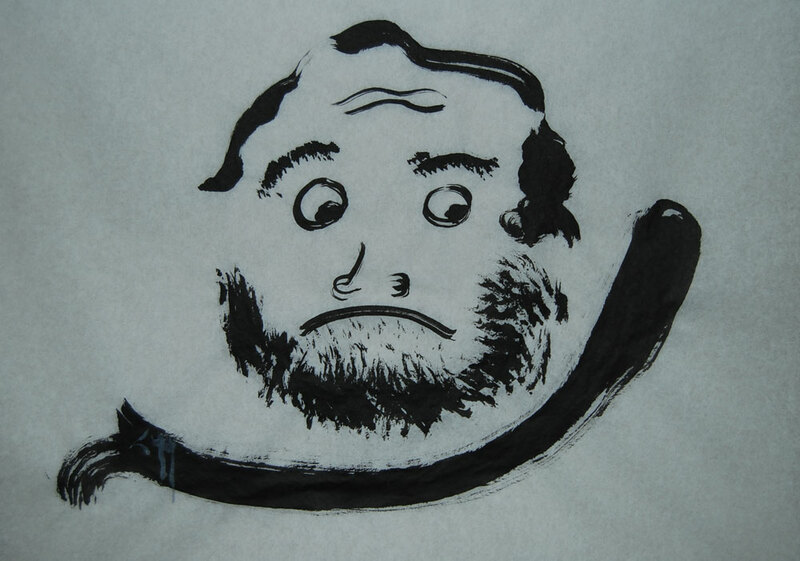 Bodhidharma is rendered with childlike simplicity: the wide-eyed look, bushy eyebrows, uncompromising mouth. And the ear-ring. I like to think of this rendering of Daruma as the early days of the Holy Man from the West: youthful, determined, and still able to be astonished by his unfolding practice. My version (above) of the tea bowl Daruma likely reflects more of my own early days. The eyes are not straight ahead, ready to meet whatever shows up. They glance to the side and down as if watching for some obstacle I might trip over. And no ear-ring; not yet ready to be different. I do remember innocently buying into the form of practice as it was in the first sangha I attended. But in a short space of time, under the weight of the blind, unquestioning faith that was required to be in that community, I began to feel my spirit shrink with the breath rather than magnify. And then the real teachings began. I appreciate the shared worry in our expressions. Perhaps Bodhidharma is wondering why he had crossed the subcontinent to end up in Northern China, doing battle with the already established Buddhist practitioners who found his wall-staring meditation style somewhat on the fringe. I know I worried about the vast inner expanses I was covering doing battle with established habits and reactionary behaviours, feeling this new way of being unravel my fringes. Nantenbo’s inscription on the tea bowl is Vast emptiness; nothing sacred. And so it is in the practice of staring down the self. Consider the painting again: close-up, you see meaningless flecks of tint that don’t represent anything. Beings and objects, time and place, have vanished. The Seine, the trees, the woman’s face—all have exploded into particles, scattered across space. But when you step back from the picture, recognizable shapes leap into view as the eye “pulls” the specks together. The individual points of color, and the identities that coalesce when the eye connects them, occupy the same space. From one vantage point there is a vista of permanent beings and things. From another, there’s no solid ground—only empty sensation that you can’t name. The painting presents a visual metaphor for conventional truth versus ultimate reality; self versus nonself. Suddenly, it all makes sense. Sometimes, I pull too far away from the dots and lose the coalesced images; from that point out in the universe, everything is a lumpy blur, even beauty. Then it’s easy to find reason why something isn’t beautiful. The balance between the flecks of brush strokes and the pulled-together specks is tricky. One seems so much more reliable than the other, as self is less anxiety-provoking than non-self. And yet, self cannot coalesce without nonself – and certainly cannot do so unless I’m willing to take a step back and out of my own vision. One of the difficulties I have with painting is to resist doing too much. For a while I spent more time copying the exact number of petals in a flower, for example, as a way to slow down that compulsion to load on the petals. It has become a practice to see what is “just enough.” Brush strokes, cooking, talking, and so on… what signals that moment when just what is needed has been delivered? This, of course, is the flip side of Mindful Consumption. Mindful Offering. A long time ago, when we had just moved into our farmhouse and were still socialized enough to have relatives visit, my parents, cousins, and cousin-lings came for lunch. A rather large presence, my elder cousin swept into the kitchen, lifted lids off pots of simmering curries, looked at the pot of rice and proclaimed, “We can’t feed everyone with what you’ve cooked! Besides what would they think… rice in a small dish like that!” She can be a fearful deity in the kitchen and I tend to take a submissive stance with her. So we dispatched Frank to the far reaches of rural Ontario to find more white rice. Brave soul, he returned with a couple of pounds of grain and she cooked it all up. We ended up freezing tons of the stuff and eventually threw it all out. But our reputation as generous hosts was intact. This is deeply trained stuff. “Good enough” is often taken to mean I’m only just doing what is required to get something done – and half-heartedly at that. The idea that we may do more by titrating our offerings to the actual need of the situation or person is a tough sell. Not only does it require letting go of imagined judgements but it also requires trusting that we have listened deeply for what is truly being asked of us. It felt a little too conventional practising the Orchid brush stroke. 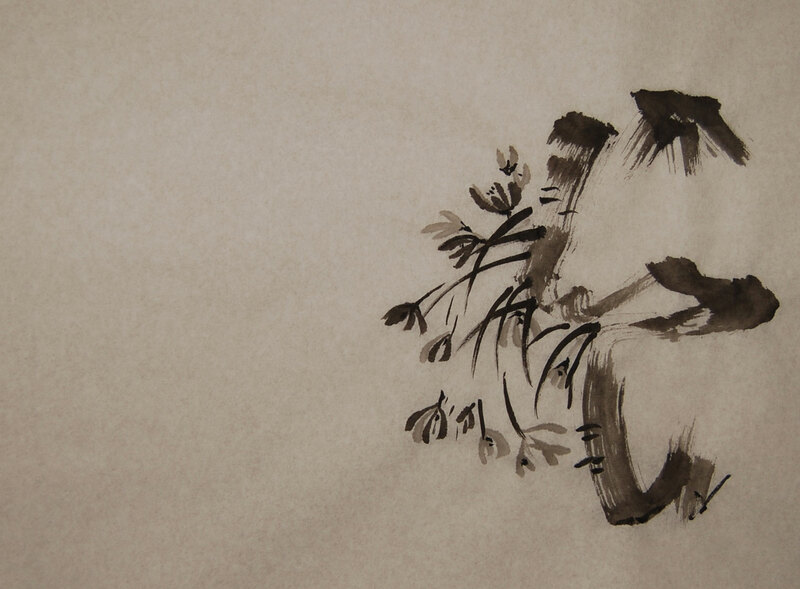 But that’s OK; that happens when I spend time copying paintings even though this is an acceptable – and expected – process of learning in the world of shodo. Lately, I’ve welcome these moments of humility. Like bowing when I enter the zendo, or the prostrations at morning service, I feel a release of all that binds me to that high need to achieve. And part of that practice of abjecting myself to the Creative is to let in the shades of grey. How else to give depth and spirit? I like these orchids. They asked of me something I tend to be stingy with: slow, unwavering attention to each brush stroke. You can see the unleashed exuberance in buddha98 – chaos with a dabble of grace. I like that too. It just that if I want to do one, there has to be a momentary pause to create the intention to do just that and not the other. PS: I came across Sweetcake Enso in my visitor’s listing and would like to bring your attention to it. Looks like some great work that will be travelling around the US! There are Four Gentlemen who have a prominent place in my artistic life – such as it is. They have been very patient as I wandered various paths of being schooled by the brush. I’ve appealed to their rules and regulations frequently when sloppiness tried to pass for abstraction. But I’ve never really become proficient under their guidance. It’s probably more that I lack actual talent for composition and design than any lack of desire in my heart to be skillful at the formal aspects of brush painting. 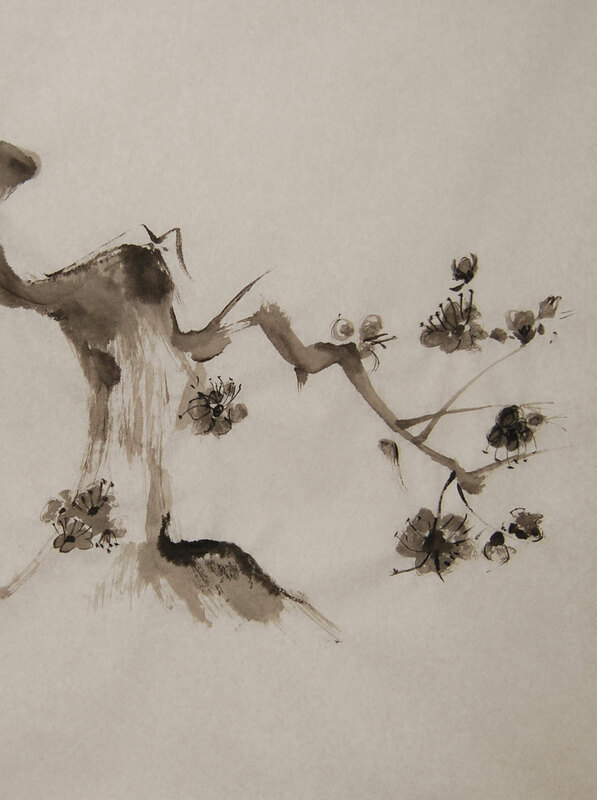 The Four Gentlemen are the four styles of brushstrokes: bamboo, orchid, chrysanthemum, and plum branch. 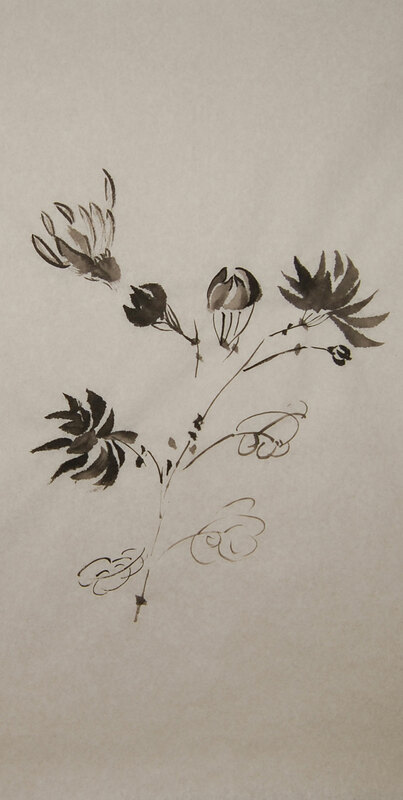 Practising with the brush strokes that make up a bamboo leaf, orchid, chrysanthemum blossom and plum branch it considered the foundation to learning how to paint in the Oriental style. 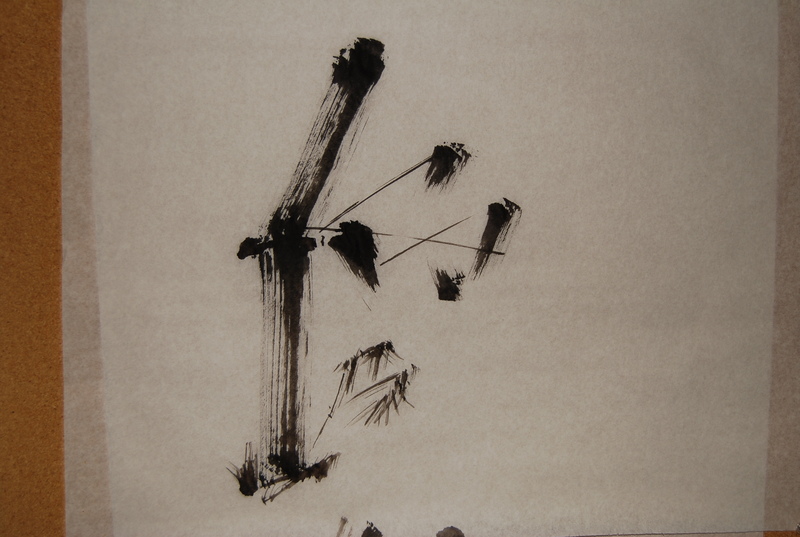 Tomoko Kodama, my “root teacher” of shodo, however, noticed that Westerners had a hard time controlling the brush itself rendering the Four Gentlemen more difficult than for her Asian students. 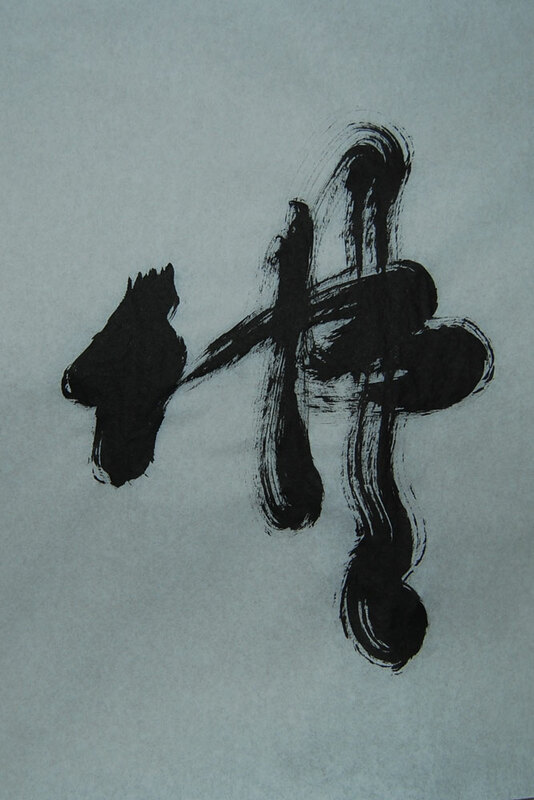 She attributed this to the latter group having grown up using the brush to write Japanese or Chinese characters – which are in fact, the elements of the four primary strokes. She developed a series of practice strokes using the Roman alphabet – a stroke of genius – and for the past 40 years has been teaching her Canadian students these skills. You can read more about her on her website; there’s even a DVD – narrated by yours truly. I spent about 10 years as an inconstant student (only because of the rather bizarre registration policy of the art school which wouldn’t announce when the class schedule would be released until the last minute) and managed to be part of one show at the Japanese Embassy. I learned from Tomoko how to play with the brush using the lines from both the alphabet and kanji characters, slowly translating them to flowers, people, landscape, and a variety of free form lines. But the process often left me frozen with anxiety when my eye couldn’t find the lines in the object I was to paint or copy. At such times, I resorted to the Four Gentlemen and learned how to be in partnership with the brush even if my eye for composition lagged or my impatience created a cluster of chaos on the paper. Later I studied with one of Tomoko’s students – a brilliant and warm-hearted man whose work you can see here. 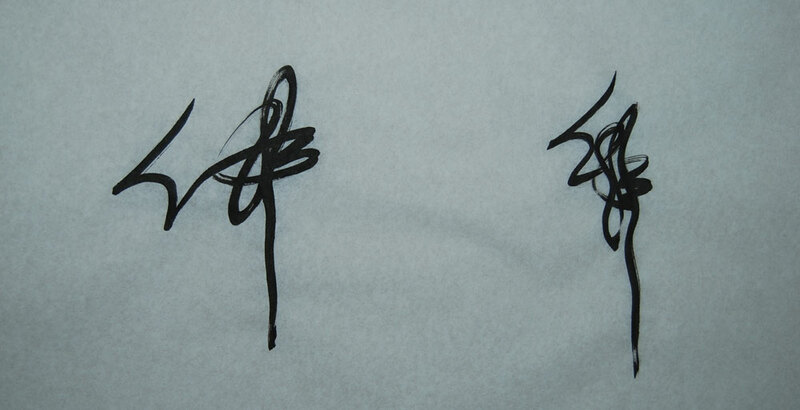 Peter encouraged me to stick with a single kanji character until I felt every brush stroke! Then slowly, painstakingly, he would let me in on the secrets and nuances of how the character deconstructs just enough to create something new, yet familiar. The 108buddhas have been a journey of melding the teachings of two very different teachers with one single love: the love of a simple line. And it has been a journey in seeing buddha in all things. Not that different from my path of practice. PS: The commonality between the buddha97 & 97a is subtle but they are there – single lines expressing the essence of both bamboo and buddha. Buddha97b shows the common brush strokes more overtly. Practice life started very simply for me. I noticed there was a donut somewhere between the middle of my chest and stomach. Much of my waking life was spent avoiding the hole in the middle and most of my energy was spent pulling myself out of the guck around the hole. Occasionally, I would try to back fill the hole using all manner of matter one finds in books, educational programs, athletic activities like jogging, playing squash, biking, hiking and what not. Too often I’d set my sights on some vague set of coordinates outside the donut, a target like some teacher – school or Buddhist – and run like hell in the hopes that the momentum could haul me out of the guck. None of it really worked to make my life any happier. However, as these things tend to do, it taught me lots about guck, holes and the nature of finding one’s way around such galaxies. It also taught me some bad habits – like excusing my lack of development in practice as “waiting for the right moment” or “the teacher hasn’t come so why waste my time being ready.” Of course, the life of practice is simply Life – the getting on with things like cleaning the house, going to Work, getting out the brushes and paper, learning how to use that new camera. It can also include doing three prostrations, sitting on a zafu without falling off, and learning the Prajnaparamita chant. But since I didn’t want to waste time being ready for a teacher who seemed to have no respect for my schedule, the Life time for these things tended to get killed “watching crime shows” (to quote one of Aitken Roshi’s gathas). Later in the week, I commented on ZenDotStudio’s post Creative Compost that my procrastination had really been challenged by her dedication to her art. She along with her artist friends are a formidable group (and I have to include Dakini Dreams as well). Their work has turned me towards my own, not just in terms of the shodo. There’s a fearlessness in their risk-taking that I love – using the catch in the breath right at that edge where the ink drips onto the paper as a pause before leaping. Ready or not, the teacher arrives.